Chris Metcalfe has a broad range of interests, including research on the environmental fate and effects of chemical contaminants. 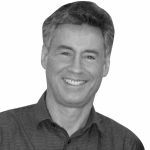 In addition to his leadership role with UNU-INWEH, Dr. Metcalfe is a Professor in the Environmental and Resource Studies Program at Trent University in Peterborough, Ontario. His previous international experience includes leading watershed management projects in Mexico and Ecuador and working to increase research and ecosystem management capacity within institutions in Indonesia, Cuba, Argentina and the Caribbean region. Dr. Metcalfe is also currently the Director of the Institute for Watershed Science at Trent University. Working in partnership with UNU-INWEH, this Institute is currently developing capacity for protecting sources of drinking water in remote Indigenous communities in Canada’s north. Dr. Metcalfe brings an interest in community-based projects to his role as Senior Research Associate with the Water-Health Nexus of UNU-INWEH. Multifunctional Wetlands: Pollution Abatement and Other Ecological Services from Natural and Constructed Wetlands, ed. Nagabhatla, Nidhi and Metcalfe, Chris D. (Basel: Springer International Publishing AG, 2018). Schuster-Wallace, Corinne J., Dickin, Sarah and Metcalfe, Chris D., “Waterborne and Foodborne Diseases, Climate Change Impacts on Health” in Global Environmental Change ( Rotterdam: Springer Netherlands,2014), 615-622. Schuster-Wallace, Corinne J., Cave, Kate and Metcalfe, Chris D. (2016). Dehcho – Great River: The State and Science in the Mackenzie Basin (1960-1985). UNU-INWEH. Schuster-Wallace, Corinne J., Wild, Chris and Metcalfe, Chris D. (2015). Valuing Human Waste as an Energy Resource: A Research Brief Assessing the Global Wealth in Waste. UNU-INWEH.